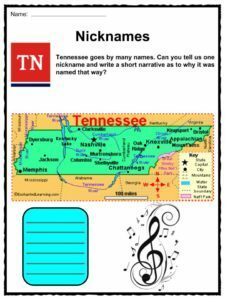 Tennessee is a U.S. state located in the Southeastern United States. Tennessee is the 36th most extensive and the 17th most populous of the 50 United States. See the fact file below for more information about Tennessee. 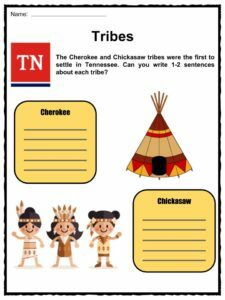 The Cherokee lived in the eastern part of Tennessee and built permanent homes. The Chickasaw lived to the west and were more of a nomadic tribe, moving often. The first European to arrive in Tennessee was Spanish explorer Hernando de Soto in 1541. He claimed the land for Spain. In 1714, Charles Charleville built a small fort in Tennessee called Fort Lick. He traded furs with the local Indian tribes for many years. This area is now the city of Nashville. After the French and Indian War in 1763 between France and Britain, Britain took control of the land. They made it part of the colony of North Carolina. 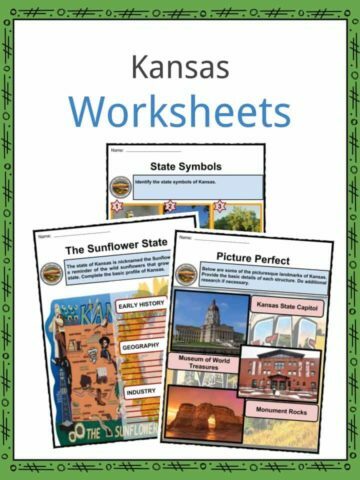 At the same time, they made a law that said colonists could not settle west of the Appalachian Mountains. Despite the British law, colonists began to settle in Tennessee. It was a land rich with furs and open land. The city of Nashborough was founded in 1779 and eventually become Nashville, the capital city. People moved into the Tennessee frontier and the land became more and more settled over the next several years. 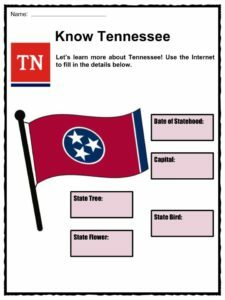 After the Revolutionary War, Tennessee became part of the United States. Eastern Tennessee became the State of Franklin in 1784, but this only lasted until 1788. 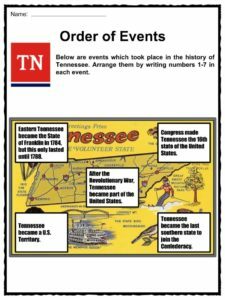 In 1789, Tennessee became a U.S. Territory. On June 1, 1796, Congress made Tennessee the 16th state of the United States. 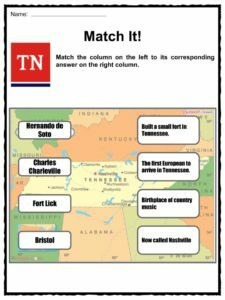 When the Civil War broke out between the Union and the Confederacy in 1861, Tennessee was divided on which side to join. Tennessee became the last southern state to join the Confederacy in June, 1861. Men from Tennessee went to fight on both sides of the war with 187,000 joining the Confederacy and 51,000 the Union. A number of major Civil War battles were fought in Tennessee including the Battle of Shiloh, the Battle of Chattanooga, and the Battle of Nashville. The Union had control over much of Tennessee by the end of the war. When President Abraham Lincoln was assassinated, Andrew Johnson from Tennessee became president. In the 1920s, Nashville, Tennessee became known for country music. The Grand Old Opry music show began to broadcast on the radio and became very popular. Actress-singer Polly Bergen, from Knoxville, was the first woman to serve on the Board of Directors of the Singer Sewing Machine Company. Hattie Caraway (1878-1950), born in Bakersville, became the first woman United States Senator. 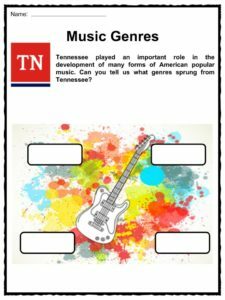 Tennessee played an important role in the development of many forms of American popular music, including rock and roll, blues, country, and rockabilly. Beale Street in Memphis is considered to be the birthplace of the blues. Musicians such as W. C. Handy performed in its clubs in 1909. Memphis is also home to Sun Records, where musicians such as Elvis Presley, Johnny Cash, Carl Perkins, Jerry Lee Lewis, Roy Orbison, and Charlie Rich began their recording careers. Rock and roll took shape on Memphis in the 1950s. 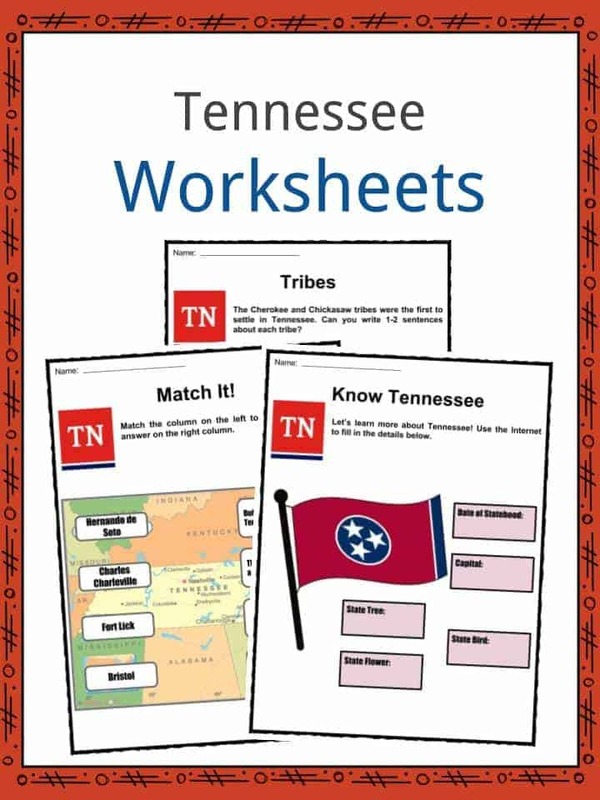 This bundle contains 11 ready-to-use Tennessee Worksheets that are perfect for students who want to learn more about Tennessee which is a U.S. state located in the Southeastern United States. Tennessee is the 36th most extensive and the 17th most populous of the 50 United States.